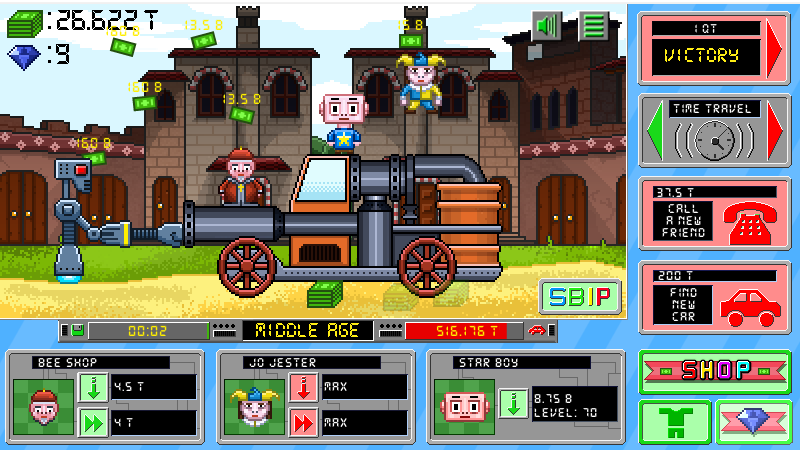 Meet strange new pals, travel in time and make a lot of money in this second chapter of Smash Car Clicker! 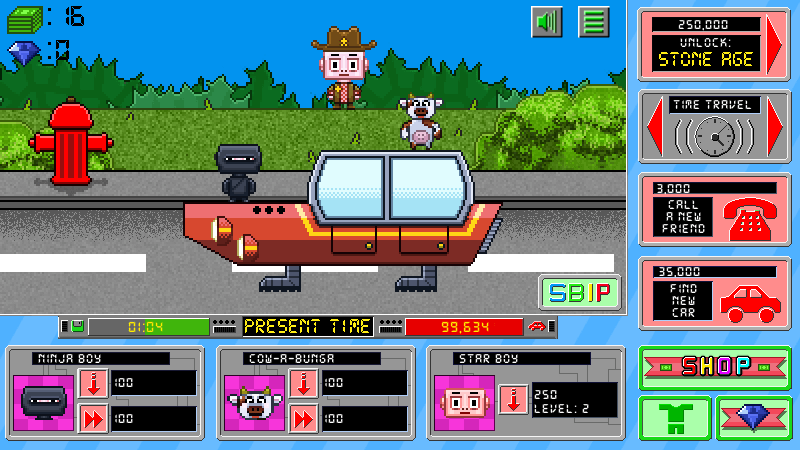 In this sequel of our successful clicker idle game a mysterious event made a hole in the space-time continuum and a lot of car ended in the wrong space and time. A mad scientist calls Star Boy (since he’s famous for being the best car smasher of all!) to smash all those car. 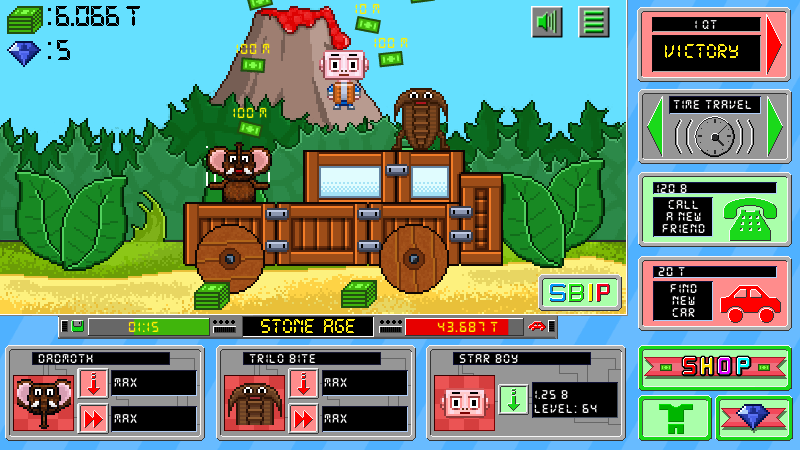 Smash Car Clicker 2 features 4 new worlds – present, stone age, ancient egypt and middle age – 10 new cars to destroy, offline money gain and more than 70 new friends, and a catchy pixel art graphics. 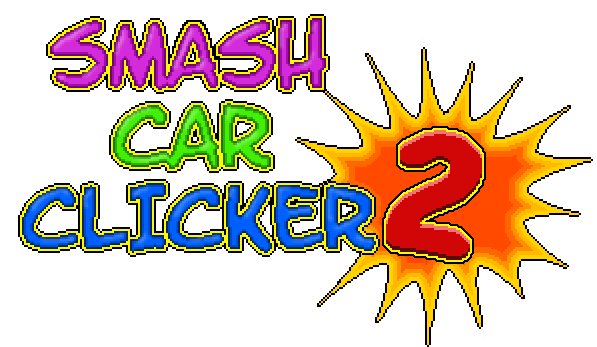 Smash Car Clicker 2 is available on iTunes Store for iPhone, iPad and iPod Touch and on Google Play for all Android smartphones and tablets. And it’s FREE! Do you prefer to play it on your computer? No problem, there is also a web version!